An immune system is a defensive system of the body that protects against diseases. The immune system works by detecting and removing the wide variety of pathogens, viruses, parasitic worms etc.. It attacks organism that can cause infection or diseases. When the immune system doesn’t work properly or is less active than normal it can result in recurring or life threatening infection, autoimmune diseases, inflammatory disease. The immune system is made up of many cells and leukocytes is one of the main cell. It is also known as a white blood cell. It is an independent cell organism that identifies and eliminate pathogens by attacking and killing them. Our immune system is designed to protect us from infections, cold, flu and when it doesn’t work properly it fails to do its job. 1 Diarrhea: If you have loose stools for more than three times in a day then you are suffering from diarrhea. If diarrhea persists for more than two to four weeks then can be a warning sign. 2. Dry eyes: Many people who suffer from an autoimmune disorder are more likely to experience dry eyes. 3. Fatigue: Fatigue is a condition of extreme tiredness and it is one of the symptoms of immunodeficiency. 4. Frequent infections: If you are dealing with frequent infections then your immune system is not able to attack germs properly. 1 Quit Smoking: Smoking has many negative effects on immune system. It affects the immune system and damages it. It damages and destroys the antibodies in the bloodstream. 2. Regular Exercise: Regular exercise decreases the risk of dealing with an immunity disorder. It helps in flushing the bacteria and reduces the chances of suffering from cold, flu, or any other illness. 3. Get enough sleep: Sleep is highly associated with the working of the immune system. Sleep deprivation suppresses immune system function. 4. Healthy eating habits: Eating a right food and getting enough nutrients from it is the key to keep the immune system healthy. Vitamins, nutrients, fiber helps in boosting the immunity system. 1 Immunodeficiencies: It occurs when one or more than one component of immunity system is inactive. Immunodeficiencies are further divided into acquired and inherited. The chronic granulomatous disease is an example of inherited immunodeficiency. The chronic granulomatous disease is a condition where phagocytes have reduced the ability to destroy the pathogens. AIDS and some type of cancer lead to acquired immunodeficiency. 2. Autoimmunity: It is a condition in which immune system fails to distinguish between self and non-self and attacks the part of the body. Overactive immune responses lead to the autoimmune disorders. 3. Hypersensitivity: It is an immune system that damages body’s own tissues. Hypersensitivity is divided into four types. Type 1 Hypersensitivity triggers the degranulation of mast cells and basophils when it is crosslinked by antigen. Type 2 Hypersensitivity occurs when antibodies bind with antigens on the patient’s own cell and mark them for destruction. Type 3 Hypersensitivity gets triggered when antigen-antibody complex get deposited in various tissues. Type 4 Hypersensitivity includes many autoimmune and infectious disease. 4. Idiopathic Inflammation: It is the first response of the immune system to infection. 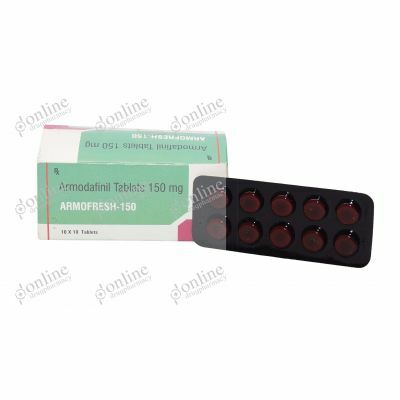 There are several types of drugs available at Online Drug Pharmacy such as beta blockers, Diuretics, alpha agonist etc.. Some of the medications that are used for the treatment are Psorid, pangraf, HCQS, Alerid etc..
We at Online Drug Pharmacy offer all the medicines that help in boosting immunity system from reputed manufacturers. The price of these medicines are moderate keeping the affordability factor in mind.